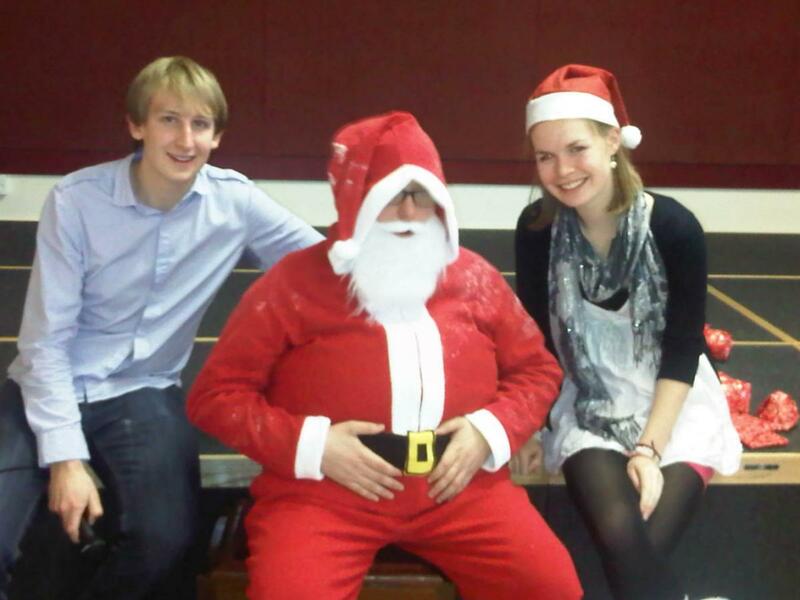 Santa and his little helpers (Corfe Mullen Councillor Patrick Edwards and Zoe White) prepare to hand out presents to the children at the second Funday Sunday held at Corfe Mullen Village Hall. It was a lovely occasion with a good time had by all - especially Santa who was allowed to eat all the mince pies! Corfe Mullen Councillor Patrick Edwards together with Michael Tomlinson and Will Burstow took on the Santa Fun Run challenge and raised money for Julia's House. Corfe Mullen hosted the first Forum since the summer, in which we were joined by members from across the constituency to address the country's growing energy and foods needs. It was agreed that farmers deserved our continued support and that we would all have to play our part in finding renewable sources of energy. The results of each Forum are compiled in a report and returned directly to the relevant Minister. If you would like to contribute to these discussions, please call 01202 624216 or email office@middorsetconservatives.co.uk. 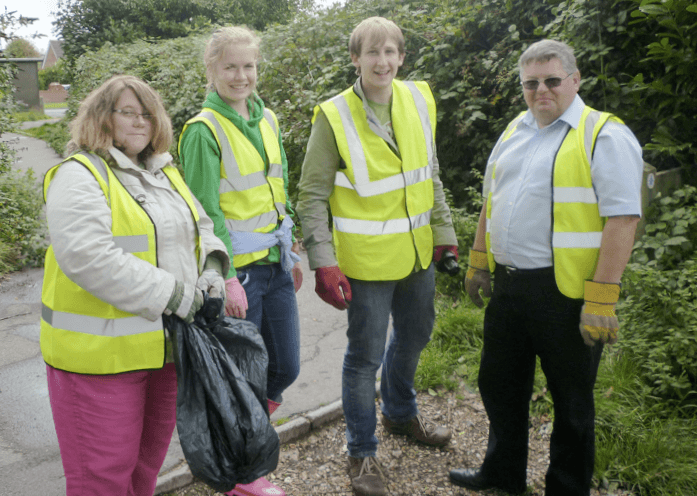 On September 10th, we did a litter pick behind Corfe Hills School. We chose the spot because a lot of people have said that the footpath is often covered with litter. And even though we were there for only a relatively short time, the group of us managed to make a difference. If you would like to suggest an area that needs a bit of a tidy up, then please do let us know and we will find a group of willing volunteers! It may be some time ahead of us yet, but plans are already under way for our second Christmas Family Funday, to take place in Corfe Mullen Village Hall on 18th December. Following the success of last December's fundraiser, this year's event will be bigger and better with more presents, mince pies and of course a visit from you know who! If you would like to find out more about this event or would like to lend a hand, please get in touch with Sarah Burns.